Ira Arthur Warren was born to William L, and Belle M. Warren November 17, 1896, in Medina, Ohio. Young Ira came with his family to Oregon about 1909. He enlisted in the United States Army Air Corps in 1917 and was a corporal in the 13th Aero Squadron and stationed in Europe from 1917 to 1919. Several years after he was discharged from the service he became a police officer with the Oregon City Police Department and was with them for five years. 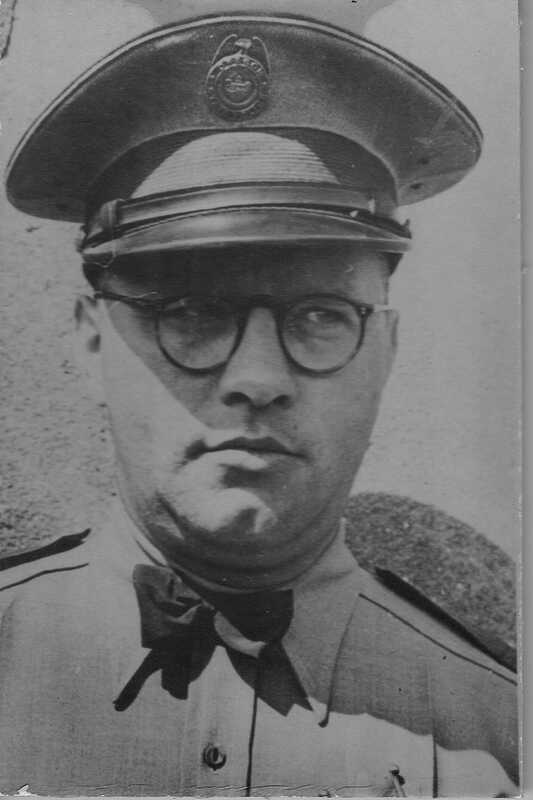 He served as the Chief of Police in Oregon City before joining the Oregon State Police in 1931. He was a member of the American Legion and a Mason. Two days before Thanksgiving 1937, Sergeant Ira A. Warren and a Portland city detective were in Portland investigating a burglary that had occurred in Clackamas. They located a suspect, an ex-con, in a run-down hotel. During the search of the suspect, two other ex-cons, including Earl Sears, known as the "Sock Bandit" and also wanted for the same crime, arrived at the hotel room, were admitted and frisked by the Portland Officer. The Portland officer left the room to summon a patrol wagon. Sears had a concealed gun and when the Portland officer left he pulled the gun. While grappling with Sergeant Warren, Sears shot him in the face. Sergeant Warren initially survived the attack and was able to return to return to duty for about a month in February 1938 but died from complications from his wounds on April 7, 1938. He was 41. Sears was never tried for the death of Sergeant Warren. He was convicted of armed robbery and sentenced to life in prison. He was paroled in 1955. Officer Warren was survived by his wife, Velma Armstrong Warren, a young son, a brother and two sisters. His funeral was performed by the Masonic Lodge, and he is buried in the Masonic section of the Mountain View Cemetery in Oregon City.